This is a general reading so you will need to connect the messages to any area in your life. You are represented by the Queen of Cups (reversed) which may signify that you are moody and run by emotions. Your past looks like it was a happy or happier one than you are feeling right now. 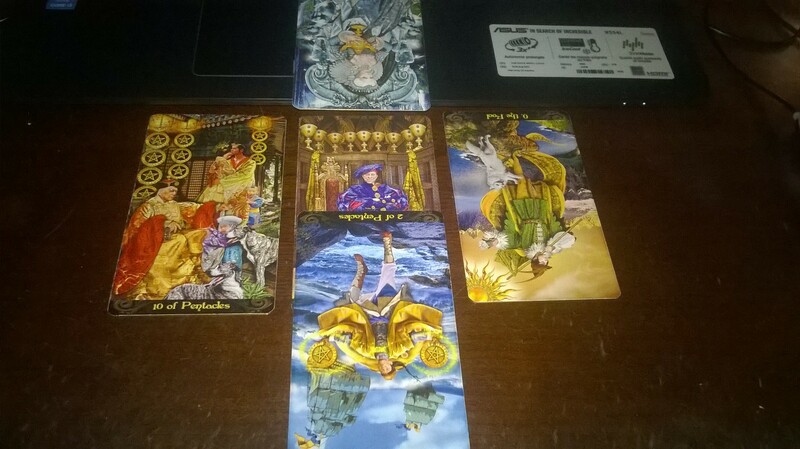 But at the present time, the reading shows that you do have blessings. But your emotions are clouding you to see it. Maybe you are going through a bump right now, because the reading is showing me that you are learning your lesson not to be taken advantage of or be a fool. This is a normal lesson in life and an important one for all of us. But there is something that you need to do- I feel like you do not have your emotions in check and that is the basis of all that’s happening around you.